Coming into the season, it was hard to imagine Tennessee being placed with your traditional heavy hitters like Duke, Kentucky, Virginia, and Kansas. 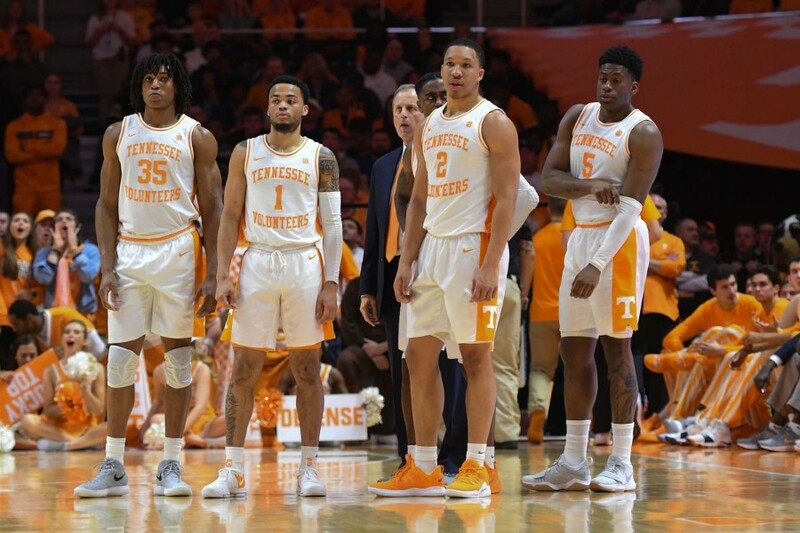 The Volunteers, led by head coach Rick Barnes have made a statement so far this season that they are a force to be reckoned with. They may not be your typical powerhouse program, but they are ready to prove it to anyone in the country. Tennessee began the season as the sixth team in the country. It is the highest ever preseason ranking the program’s history. It was no question Tennessee deserved the recognition as a sixth seed from the previous year, unfortunately, falling to March Madness sweetheart Loyola-Chicago in the round of 32. Tennessee comes into the first week of February as the number one team in the country for the second straight week. Tennessee’s only loss comes to the number 11 team in the country in the Kansas Jayhawks who were just defeated by the unranked Texas Longhorns last night. If it wasn’t for Grant Williams fouling out late in the game at Kansas, Tennessee would be undefeated. But what’s made Tennessee so good this year? It’s the trio that was highly unrecognized. Junior guard Jordan Bone averages 13.1 points per game while also ranking in the top 20 in assists with 129. Senior guard Admiral Schofield, just recently coming off a terrible performance against Vanderbilt shined last night against South Carolina. Schofield put up 24 points, nine rebounds, and four assists. Schofield averages 16.6 points per game. The man that has made his mark on this program is none other than junior forward Grant Williams. Williams recently comes off his best game performance against Vanderbilt in an overtime win. Williams was 23 of 23 from the free throw line, the most free throws made in a row in Division I in over 60 years. His career high 43 points are the most by a Volunteer since all-time leading scorer Allan Houston 29 years ago. Williams had 23 points and nine rebounds last night against the Gamecocks. Williams is one of the main headlines you see when it comes to Tennessee basketball. He is on the watch list for the John R. Wooden Player of the Year award and the Naismith Men’s Player of the Year award. It’s no secret that Tennessee basketball is here at least for 2019. It looks like all three players will be entering the NBA draft and that worries some fans. The bright side is, look what Barnes has been able to do with scouting and hard work. He has this program focused and hungry to bring home an SEC crown and a National Championship. Still, there is plenty of work and season left but Tennessee looks to make their mark in the NCAA tournament this year.